Ginger ale is one of my go-to drinks, especially when I’m in the mood for something that’s not alcoholic. I had the absolute BEST ginger ale years ago on my first ever trip to Tokyo. I read up on a popular, tiny, notoriously hard to find izakaya in Shibuya and made Mike search for hours until we found it. It was smokey from the grilled fish, loud from from the various “kanpai!” (cheers, in Japanese) we heard, and absolutely perfect. The food was delicious and the ginger ale was spicy and full of bubbles, just the way I like. Mike and I went back when we were in Tokyo last winter, but it just wasn’t the same. The tiny, hole in the wall izakaya had gotten infinitely more popular and expanded to a three store front. Undeterred by the huge change, Mike and I decided to give it a go. It didn’t feel the same at all inside. The kitchen wasn’t open anymore and the room was filled with quiet murmurs (in English). They did still have ginger ale on the menu, but that’s about the only thing that was the same. The entire menu changed and it just wasn’t the same. Lesson learned: sometimes, when you really like a place, you can never go back. I wish I kept that little izakaya as an awesome place in my memory. But, you know what, their ginger ale was really good. And now that I’m not in Japan and I can’t get that elusive ginger ale any more, I just go ahead and make it at home. 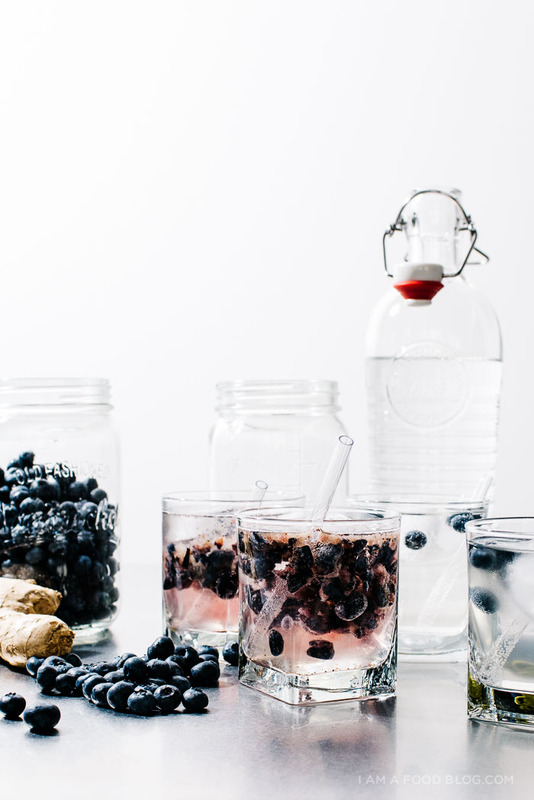 I like making soda at home, it’s incredibly easy and you can control how much sugar and fizz goes in your drink. I like super fizzy drinks on the barely sweetened side. If you’re into soda and want to make your own, I highly recommend a SodaStream. SodaStream makes a bunch of different flavoured syrups (I’m partial to the ginger ale, when I don’t have homemade ginger syrup), but I also love drinking plain sparkling water. 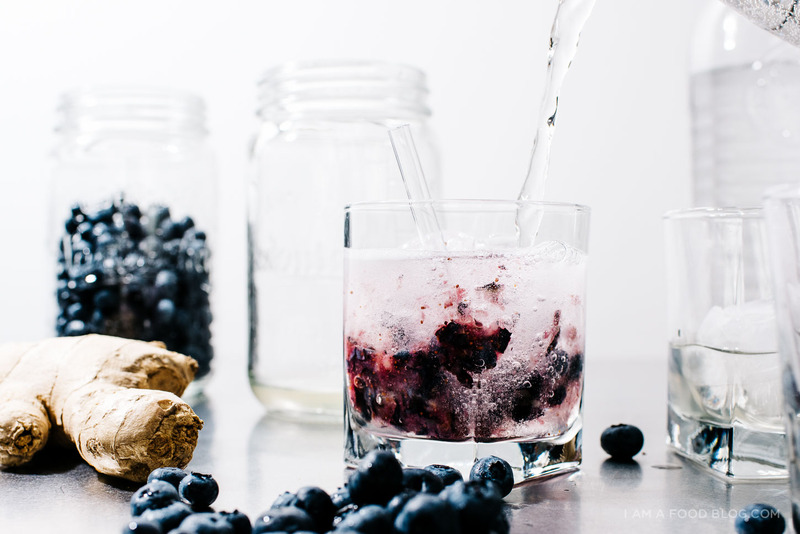 I added some homemade ginger syrup and blueberries for a little summer refresher. Super light, full of bubbles and ginger and only slightly sweet, just the way I like. Mike enjoyed these guys with a bit of bourbon and we were almost transported back to Tokyo. Add the water, sugar and ginger to a small sauce pan. Bring to a boil over medium heat then remove from the heat. Let steep for 15 minutes. The longer you let it steep, the more intensely ginger-y it will be. Strain out the ginger and cool and store in a airtight jar until needed. 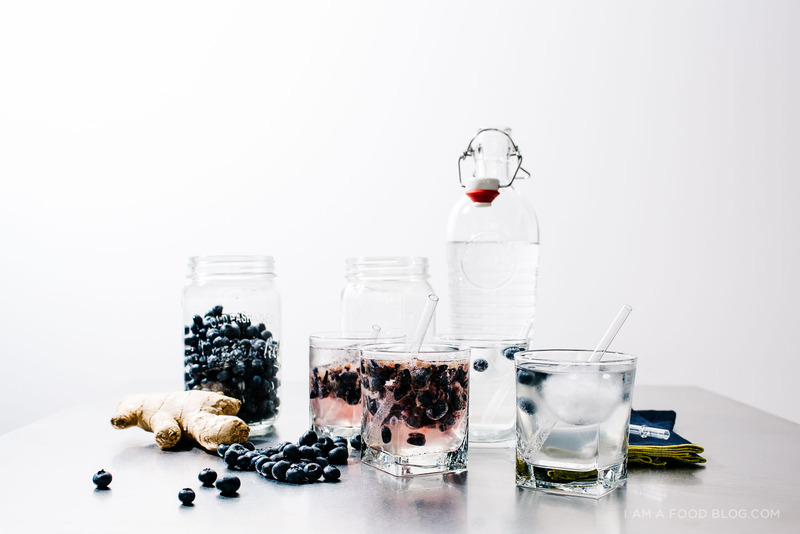 To make the spritzers: add ginger simple syrup and blueberries to taste to a glass with some ice. Top with sparkling water and a splash or two of bourbon if desired. This is my #flavourofsummer!  Kitchen Stuff Plus is giving away 3 SodaStreams: enter to win on Kitchen Stuff Plus’ Facebook, Instagram or Twitter. 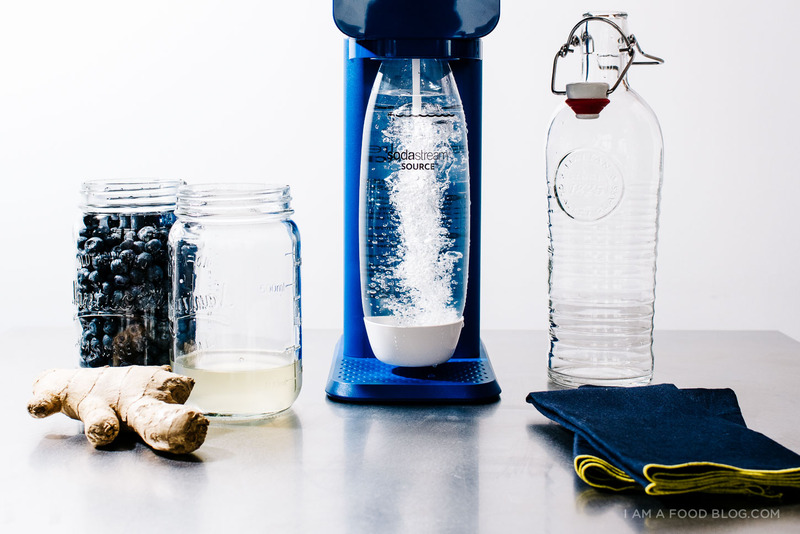 They offer free shipping across Canada on orders over $75 and have an awesome SodaStream C02 exchange program – when you return your empty canister and buy a new one, you get a rebate. This post was sponsored by Kitchen Stuff Plus. Thanks for supporting I am a Food Blog! This looks amazing!! I have been wanting to get one of these for a while! I just might this weekend now to try this! 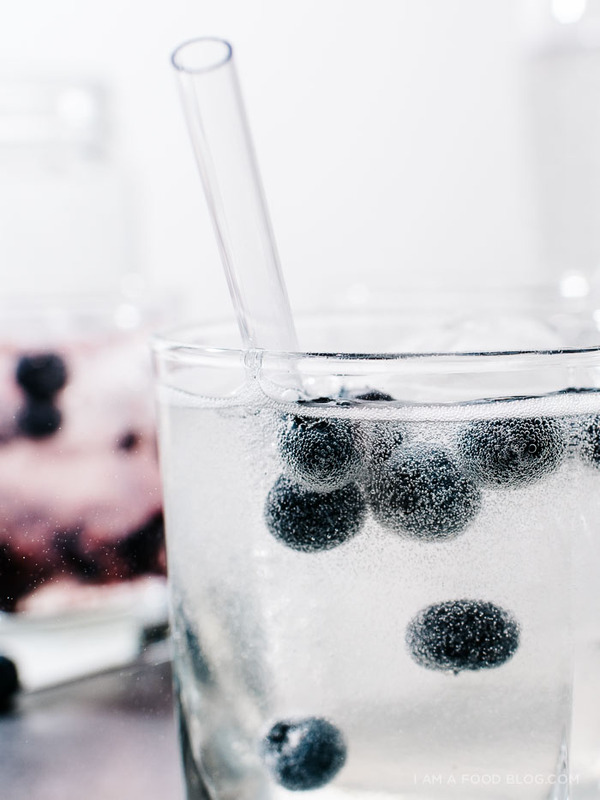 These look so gorgeous and refreshing. Such a bummer about that izakaya! That’s what happens when the world catches on, I guess. Wow they look so tasty and refreshing! Perfect for a summer BBQ I think! blueberry and ginger sounds like a really good tart/sweet/spicy combo (: and too bad about the restaurant. sometimes it’s never as good as it first was, even if it’s just because expectations are higher. You always take such beautiful pictures, but these are just really stunning. I love the reflective surfaces, that crisp contrast of the blues. Gorgeous! 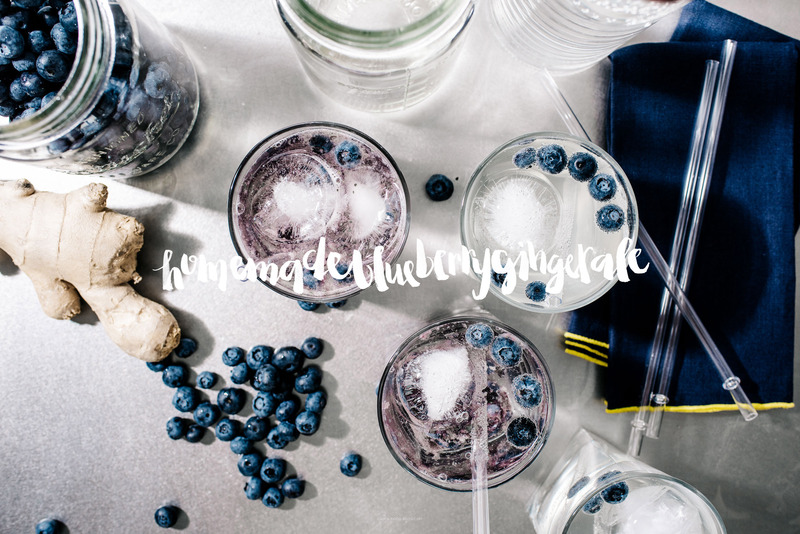 I adore the sound of this drink – so perfectly refreshing and with that spicy kick of ginger too that just seems to right. Is there a way to reduce the sugar content? No artificial please. I love ginger ale but not so much the calories. This recipe sounds delicious. you could try sweetening with honey instead of sugar! 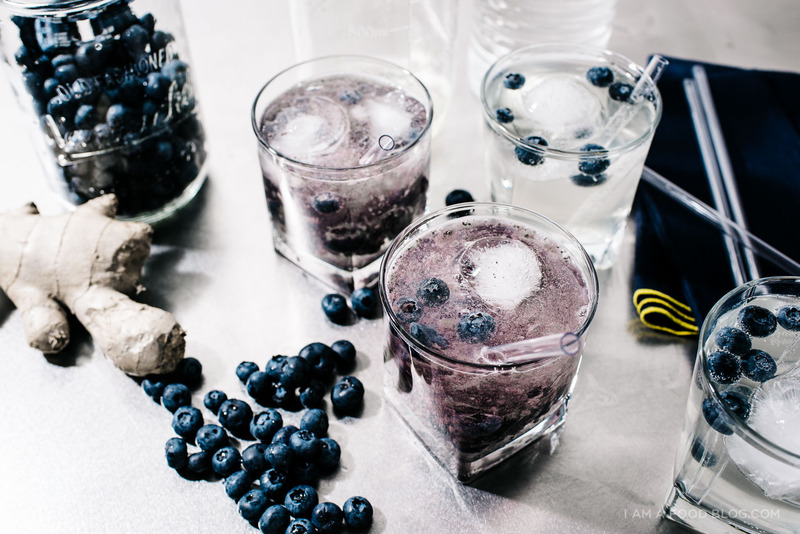 I’ve been on a blueberry kick and this looks like a great way to enjoy them. Very refreshing! Oh my gosh, those words on that izakaya and memories touched my heart — so poignant but such a bummer at the same time. I’m so glad these spritzers are stepping in to fill the gap, though!! 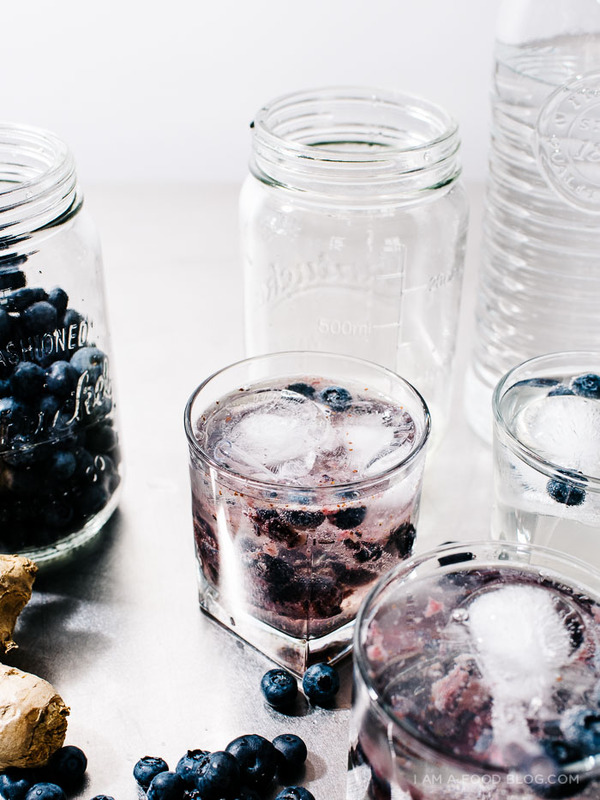 Blueberry and ginger sound meant to be — these look so, so good! YUM!!! 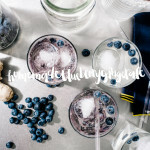 This home made ginger ale looks amazing – I will have to try this! thanks for the great recipe.